The PSM 106 has 6 directly star connected 10 amp outlets each individually filtered against cross contamination. With a total of 19 finely tuned filter element stages, cleansed star earthing and 30,000 amps of surge protection, all enclosed in an enormously robust and fully shielded casing it is a stunning upgrade over other distribution strips and provides much of the benefit of our top of the range PSM136 in an alternative format, elevating the purity, timing, definition, separation, clout and sheer enjoyment of your system to an entirely new and superbly entertaining level. 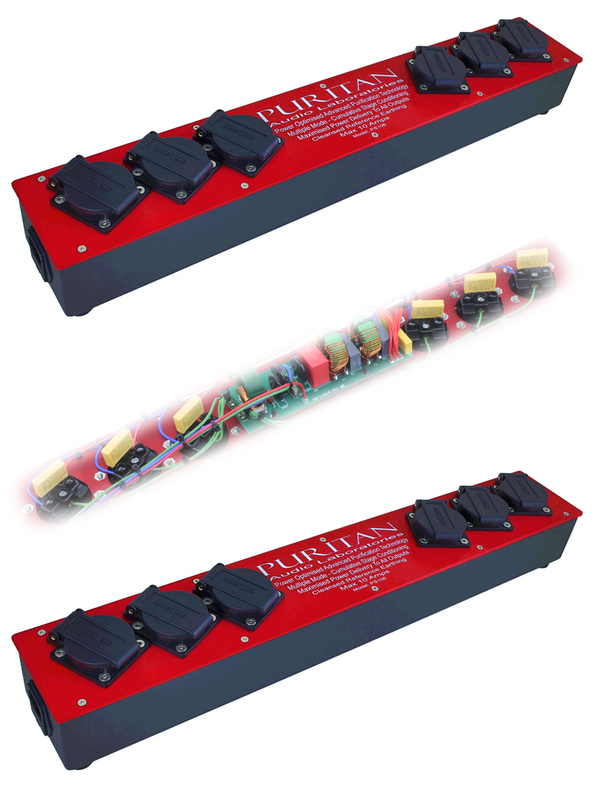 Or for the purist we present our PS108 “Purist” model with no filtration, no voltage clamp protection, just the very highest integrity independent star wiring of live, neutral and earth connections to 8 ultra high integrity output sockets. Also available with DC Blocking Model PS108DC. Available with all common output sockets – UK – Schuko – France – Belgium – Switzerland – USA – Canada etc. Also available as PS106-DC variant with additional circuitry to re-balance the AC sine wave, removing all DC components enabling transformers to work efficiently and quietly, realising their full dynamics and power range. Also available as PS108-PURIST with no supply filtration and no spike protection. 6 outlets directly star connected. Star earthing plan with cleansed earth.